The compositions of the International Film Music Competition finalists will be premiered during a celebratory concert evening at the Tonhalle Zurich. The subsequent film music concert is a melodious dedication to Hans Zimmer. 231 composers from 40 countries entered this year’s competition. Endowed with a CHF 10'000 cash prize, they were competing for the Golden Eye for Best International Film Music. Entrants were asked to compose a score for symphony orchestra to the six-minute short film MAXIMALL (FR 2010). The best five scores as chosen by a jury of renowned specialists will be premiered on this evening by the Tonhalle-Orchester Zürich under the baton of Frank Strobel. The jury will announce the winner on the same evening. 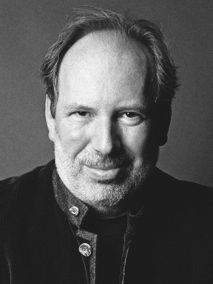 German-born Hans Zimmer is one of the most innovative, creative and celebrated film music composers and producers of our time. He has composed music for over 100 films. Having already earned numerous awards, amongst them an Academy Award (for THE LION KING), he is now set to receive the ZFF’s Lifetime Achievement Award. Made up of various scores by and in honour of Hans Zimmer, the Tonhalle-Orchester Zürich will perform a concert created specially for this occasion. The programme comprises excerpts from such films as GLADIATOR, THE LION KING and INCEPTION. This will be immediately followed by the conferring of the honorary award to Hans Zimmer. The International Film Music Competition is organised by ZFF, the Tonhalle-Orchester Zürich and Forum Filmmusik. Tickets are available at: www.tonhalle-orchester.ch, or directly from the Tonhalle. The ZFF MASTERS series offers a unique opportunity to experience renowned international filmmakers up-close and gain insight into their work. The ZFF MASTERS take place at the Filmpodium and are open to film fans and interested parties alike. Tickets for the ZFF MASTERS are available from all ZFF advance sale ticket points and at starticket.ch. 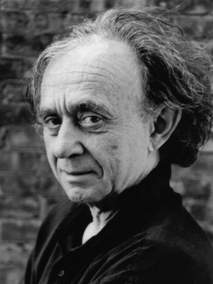 Frederick Wiseman is one of the most influential documentary filmmakers of recent decades. With his moving portraits of important US institutions, Wiseman has succeeded in capturing the „American soul“. Neither interviews nor voice-overs intervene in chronicler Wiseman’s observant approach. His award winning milestones include such titles as TITICUT FOLLIES (1967), WELFARE (1975) and the 2013 released university portrait AT BERKELEY. Wiseman has also recently increased his activities in Europe. This doyen of documentary film speaks at the ZFF MASTERS about his work. What does he find so fascinating about Direct Cinema? Where do his themes come from? And what projects attract his attention today? Susanne Bier is one of the most accomplished European filmmakers of our time. 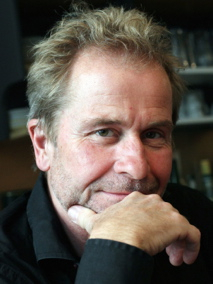 The Danish screenwriter and director is responsible for such internationally successful productions as BROTHERS (2004) and AFTER THE WEDDING (2006). She realised her first US production in 2007 with THINGS WE LOST IN THE FIRE. Her family drama IN A BETTER WORLD (2010) garnered the Academy Award for Best Foreign Language Film. At the ZFF Masters, Susanne Bier offers insight into her work as a filmmaker. What hurdles did she have to overcome to take a foothold in the male-dominated film industry? And what challenges face European film workers in Hollywood? Ten years ago, Faith Akin celebrated his powerful break-through with GEGEN DIE WAND (2004): The film was honoured with multiple awards, among them the Golden Bear and the European Film Award, but it is only the center of Akin's throughout brilliant cineastic work. Already his first feature film KURZ UND SCHMERZLOS gained wide recognition. Love and homeland, Hamburg and Istanbul, great hopes and crazy ideas – these are the themes of almost all his films. And Akin is well versed in balancing sternness and gaiety, darkness and light. Besides his work as a director, he also successfully participates in the German film scene as scriptwriter, producer, and actor. After GEGEN DIE WAND and AUF DER ANDEREN SEITE (2007), Akin finally presents the last part of his "Love, Death, and the Devil" trilogy: THE CUT will be screened at this year's Zurich Film Festival. For over thirty years, film composer Hans Zimmer has created new cinematic worlds by merging traditional instruments and synthesized sounds. German-born Zimmer celebrated his breakthrough in 1988 with the music for RAIN MAN. He has since composed the music for over 100 films, and is the recipient of countless awards, including an Academy Award. His unforgettable scores include those for THE LION KING (1994), GLADIATOR (2001), THE DARK KNIGHT (2009) and INCEPTION (2010). Zimmer will speak at the ZFF MASTERS about the workings of a film composer. How can you take musical inspiration from the look and theme of a film while also adding your own accents? How does music influence the world of cinema and vice versa? Werner Herzog considers him one of his favourites, Michael Haneke values his radicalism, countless young filmmakers are influenced by his visual language: We are talking about Ulrich Seidl, one of Austria’s most important filmmakers. Exploring the fine line between fiction and documentary, his film projects are fascinating and unsettling, seemingly far from reality yet disturbingly close to it. 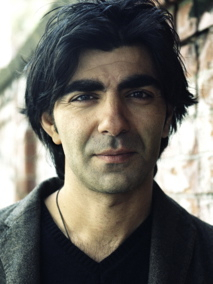 His list of works includes such award-winning films as TIERISCHE LIEBE (1995) and HUNDSTAGE (2001). Seidl caused a sensation last year with his PARADIES trilogy. At the ZFF MASTERS, Ulrich Seidl offers us insight into his work: What fascinates him about the blending of documentary and fiction? How does he get to know his film’s protagonists? The ZFF TALKS series presents the opportunity to speak with personalities from the film industry. International actors and film workers offer the public fascinating insight into the challenges they face both behind and in front of the camera. The ZFF TALKS take place in the Festival Centre at Sechseläutenplatz. Entry to all ZFF Talks is free of charge. 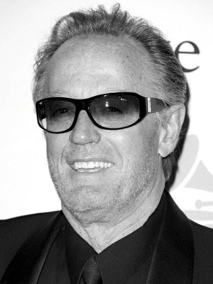 Peter Fonda is a legend: He not only enjoys international renown as an actor, screenwriter and director, but also as an icon of the 1960s counter culture. His role as the chopper-riding Wyatt in the cult film classic EASY RIDER (1969) turned him into an overnight global star – and gave him his rebellious born to be wild image. This member of the Fonda family, which includes Henry, Jane and Bridget Fonda, is still making waves as an actor today. „Greg Gorman is the only person I’d let photograph my corpse”, said John Waters about this sought-after star photographer. Celebrities of all ages and calibre have already stood in front of his lens – including Andy Warhol, Robert De Niro and Sophia Loren. Nine photo-books, countless awards and international exhibitions mark decades of Gorman’s photography, which he uses to bring the individual character of his models to the surface. Some films work so coherently that it seems like its roles have been tailored to its actors. Casting is as much about matching actors to roles as it is about financial and promotional criteria. As the casting director of such films as ROSIE and GIULIAS VERSCHWINDEN, Corinna Glaus selects the right cast, from the leading roles to minor parts. In her talk, she explains how she goes about finding the right cast for a film. TUNTSCHI and EINE WEN IIG, DR DÄLLEBACH KARI. In is talk, Hollenstein discusses his career as a make-up artist and throws light on his daily life during shooting. The Zurich Summit has its origin in the Film Finance Forum that is realised annually in Los Angeles, New York, Cannes, Shanghai, and Rio de Janeiro. In 2010 it took place in Zurich for the first time. The event is organised by the Zurich Film Festival in association with Winston | Baker. It takes place September 27-28, 2014 at the *****hotel The Dolder Grand. For detailed information on the 2014 Zurich Summit programme, speakers, and registration, please visit zurichsummit.com. The ZFF MASTER CLASS facilitates networking between young, talented filmmakers and leading experts from the film industry and imparts creative filmmaking know-how. Participants are given the opportunity to interact with established industry role models who are themselves exceptional filmmakers. The ZFF MASTER CLASS serves as a source of motivation and inspiration for young filmmakers. We are happy to welcome another round of top-class figures of the international film industry as our speakers of 2014. L.A. based producer Donald De Line scored his first major hit with the 2003 heist thriller THE ITALIAN JOB. Among De Line’s other successes include Ridley Scott’s BODY OF LIES and John Hamburg’s I LOVE YOU MAN. 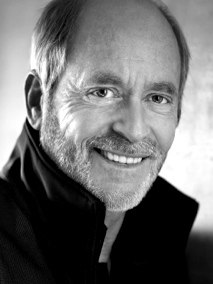 In addition to his producing career, De Line has held positions as a studio executive, serving as President and Vice Chairman of Paramount Pictures, and President of Touchstone Pictures. Among the films under his aegis were PRETTY WOMAN, Wes Anderson's RUSHMORE, Tim Burton's ED WOOD, and the blockbuster ARMAGEDDON. De Line believes in hard work and the power of keeping oneself well-informed about everything going on in film business. His career proves this philosophy a key to success. Stefan Arndt was born in Munich, Germany in 1961. Throughout his career he has produced over 20 films, most of which received international releases and worldwide critical acclaim. Together with directors Tom Tykwer, Wolfgang Becker, and Dani Levy, he founded the production company X Filme Creative Pool in 1994. Four years later, he celebrated his international break-through with Tom Tykwer’s LOLA RENNT. Many successful productions have followed, which earned him a total of 11 German Film Awards, 10 European Film Awards, two Golden Globes, and most recently one Academy Award and the Palm D’Or for AMOUR. For 20 years, Arndt has mastered the balancing act of producing sophisticated films which nevertheless appeal to wide audiences. With THE CLOUD ATLAS he realized the most expensive German film to date, but he still remains a supporter of young German filmmakers and established directors of the European art house scene. As producer, distributor (X Verleih AG), and one of the founding fathers of the German Film Academy, he has established himself as a distinctive figure in German film industry. Nadav Schirman is not only one of Israel's most promising documentary filmmakers; the Frankfurt-based director and producer has a keen instinct for how to wrap a documentary as a dramatic thriller. His first feature documentary THE CHAMPAGNE SPY - centring on a son who discovers his father is a Mossad Agent - won the Israeli Academy Award for "Best Documentary". In 2013, he again explored family relations under pressure when shooting IN THE DARK ROOM, a film about the wife and daughter of terrorist Carlos "The Jackal". Schirman's latest coup, THE GREEN PRINCE marks the current high point of his career: The Israeli producer-director not only pushed the boundaries of the documentary genre by shaping a highly emotional and compelling thriller; he also crafted an intensely suspenseful and emotionally gripping narrative that was rightly honoured with various awards, including the Audience Award at the prestigious Sundance Film Festival. Due to the success of the documentary, a feature film based on THE GREEN PRINCE is currently in the making. Stefan Ruzowitzky is one of Austria’s most versatile directors. After his graduation, he started working as a freelance director, writer, and editor for television, commercials, and music videos. In 1996, he ventured to write and direct his first feature film, TEMPO, a coming-of-age drama, which was awarded the Max Ophüls Preis for its perceptive depiction of Vienna's youth culture. His next feature film, DIE SIEBTELBAUERN, was also a huge success and won many international awards, among them the prize for "Best Picture" at the Rotterdam film festival. With ANATOMIE and the children's film HEXE LILLI, Ruzowitzky demonstrated once again his versatility and aptitude to direct high-quality genre films with enormous popular success. The sensitive Holocaust drama DIE FÄLSCHER was Ruzowitzky's international break-through: a great hit at festivals as well as in theatres and winner of the 2008 Oscar for "Best Foreign Language Film". In 2012, his first American film DEADFALL, starring Eric Bana, Olivia Wilde, Sissy Spacek and Kris Kristofferson, premiered at the Tribeca Film Festival. Christian Petzold has become one of the most important contemporary German directors since he graduated from the German Film and Television Academy Berlin (dffb) 20 years ago. In 2000, he made his cinematic debut with DIE INNERE SICHERHEIT, which won the German Film Award. The film was also the kick-off for his "Gespenster Trilogy", a succession of thematically affiliated films including GESPENSTER and YELLA. The trilogy composes a spectral image of contemporary Germany that oscillates between familiarity and strangeness, personal isolation and social invisibility. In 2011, Petzold collaborated with Christoph Hochhäusler and Dominik Graf on the TV mini series DREILEBEN, which consists of three crime films revolving around the same topic and characters but realized in different auteur styles. It was honoured with the German Television Award. Petzold’s most recent film, BARBARA was also a big success; for his sensitive DDR-drama he was awarded the Silver Bear for "Best Director". Petzold prefers to work repeatedly with like-minded film artists. Among them are actress Nina Hoss and director Harun Farocki, who passed away last July. DRIVE, a simmering crime tale of tenderness and brutality, SNOW WHITE AND THE HUNTSMAN, a breath-taking revision of the beloved fairy-tale, and numerous captivating adaptations of literary classics – Hossein Amini is not only a versatile scriptwriter, but has a sure feeling for promising stories as well. For his adaptation of Henry James' novel THE WINGS OF THE DOVE, starring Helena Bonham Carter, he received an Oscar nomination in 1998. Before that, Amini captivated the bleak and shocking grimness of Thomas Hardy's novel "Jude the Obscure" for the screen, which laid the foundation for the critical acclaim Michael Winterbottom's JUDE received. In 2011, Amini's script for DRIVE elevated him to the top league of international screenwriters: The film achieved overnight cult status, turned Ryan Gosling into one of Hollywood's most sought-after actors, and was nominated for the Palme d'Or in Cannes. Amini's most recent writing success is his directorial debut THE TWO FACES OF JANUARY, an adaptation of Patricia Highsmith's thriller of the same name, which stars Viggo Mortensen, Kirsten Dunst, and Oscar Isaac. Swiss director Sabine Boss loves to tell stories of all kinds - a passion she has successfully pursued in film, television, and theatre since graduating from the Zurich University of Arts in 1996. Having set high standards for herself, Boss desired to expand her education as a film director by working at the Schauspielhaus Hamburg for three years. There, she gained deep sensitivity for working with actors – a much praised passion which she is passing on to film students in actor’s directing classes at the Zurich University of the Arts since 2011. In 2002, she realized her first feature film, the light-hearted political comedy ERNSTFALL IN HAVANNA, which remains among the Top 10 of the most successful Swiss films ever made. Boss regularly rises to the challenge of directing well-made television productions, too: Her writer-director debut STUDERS ERSTER FALL received critical acclaim for its innovative modernization of Friedrich Glauser’s novel "Matto regiert", and DAS GEHEIMNIS VON MURK was even theatrically released due to its enormous success. Her latest work is another film adaptation: With great insight and sensitivity she put Pedro Lenz’ best-selling novel DER GOALIE BIN IG on the big screen. For this, Boss was honoured with the Swiss Film Award in 2014, and she proved once more her great ability to empathize with the challenges of human relationships. Having grown up in West Africa, French director Claire Denis has always grappled with subjects like identity and the transgression of social and cultural boundaries. After studying at today's LA FÉMIS in Paris, she worked as an assistant director to Jacques Rivette, Wim Wenders, Jim Jarmusch, and others. She made her directorial debut in 1988 with CHOCOLAT, a quiet and sensible examination of (post-)colonial racial tensions in Cameroon. The solidarity with margin-dwellers and reflections on the social exclusion of the "other" have marked her following eleven feature films as well. In 1996, Denis received the Golden Leopard in Locarno for NÉNETTE ET BONI. Her film BEAU TRAVAIL three years later, the fourth collaboration with cinematographer Agnès Godard, further reinforced her international acclaim. With works like the body horror film TROUBLE EVERY DAY as well as the dramas 35 RHUMS, WHITE MATERIAL, and LES SALAUDS, Claire Denis has established herself as one of the most important contemporary filmmakers. For more information please visit the ZFF MASTER CLASS website.